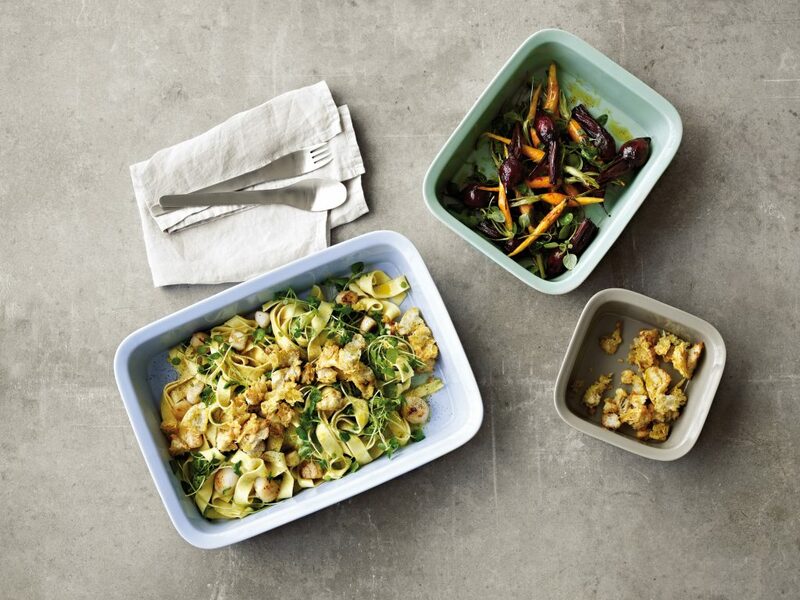 A set of three ovenproof stoneware dishes that can be stacked together. 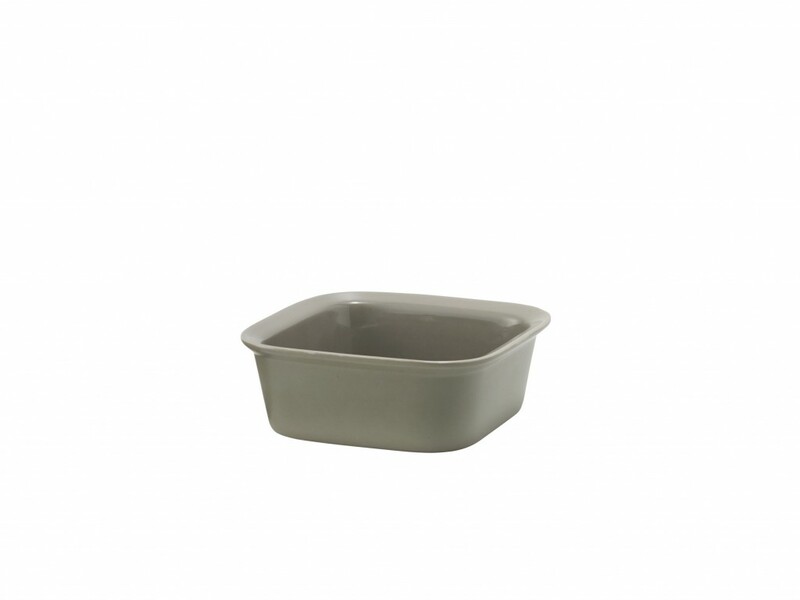 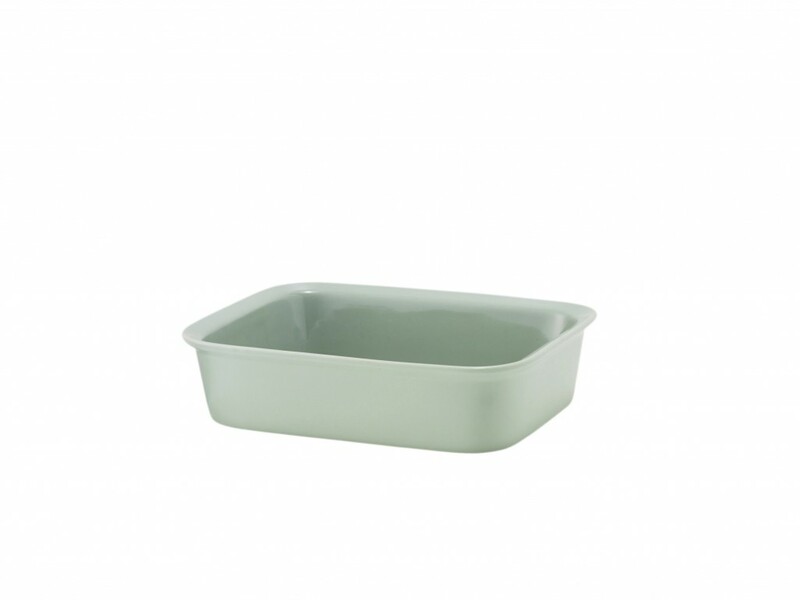 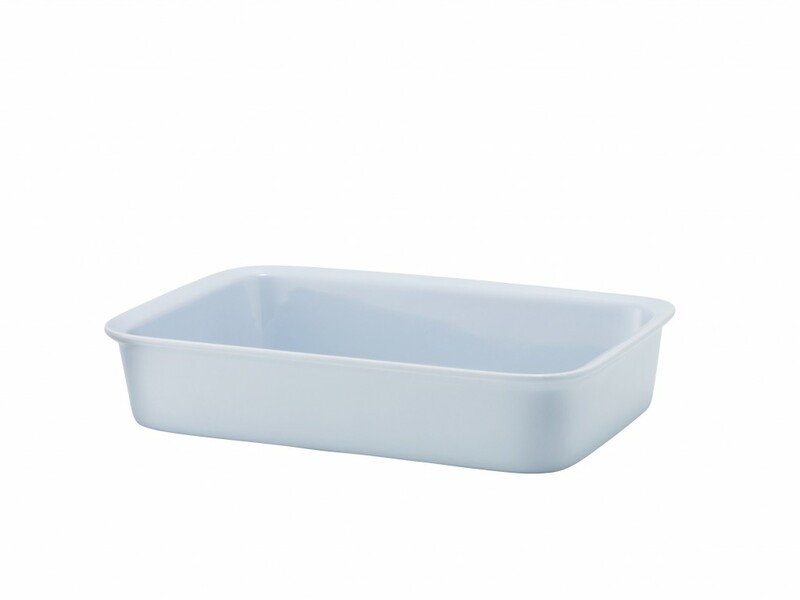 With a matt exterior and shiny interior, they are easy to clean and dishwasher proof. 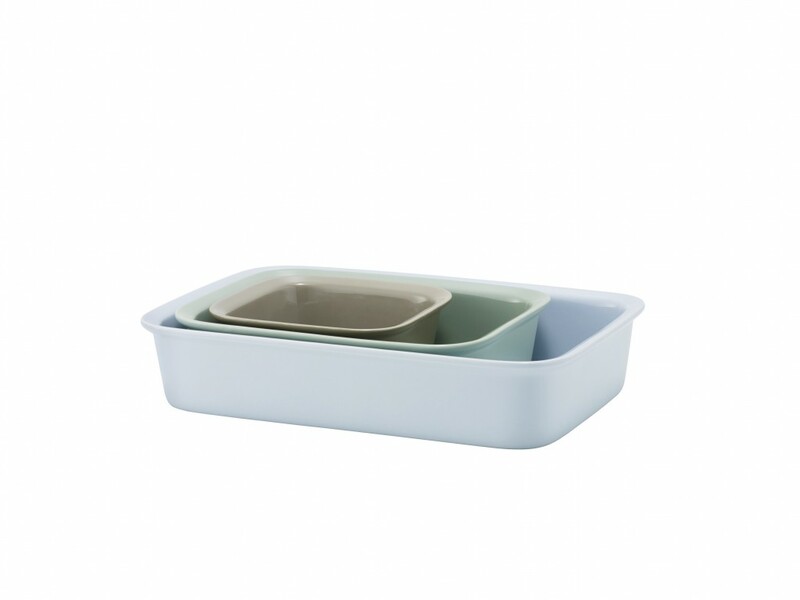 The set is available in two different colour settings.